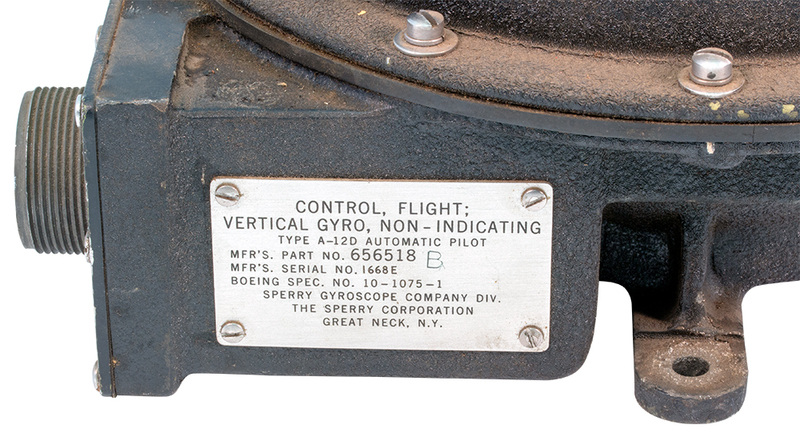 Sperry control flight vertical gyro. Auto pilot. Type E-4 / A12D. In use during the 1940's - 1950's. 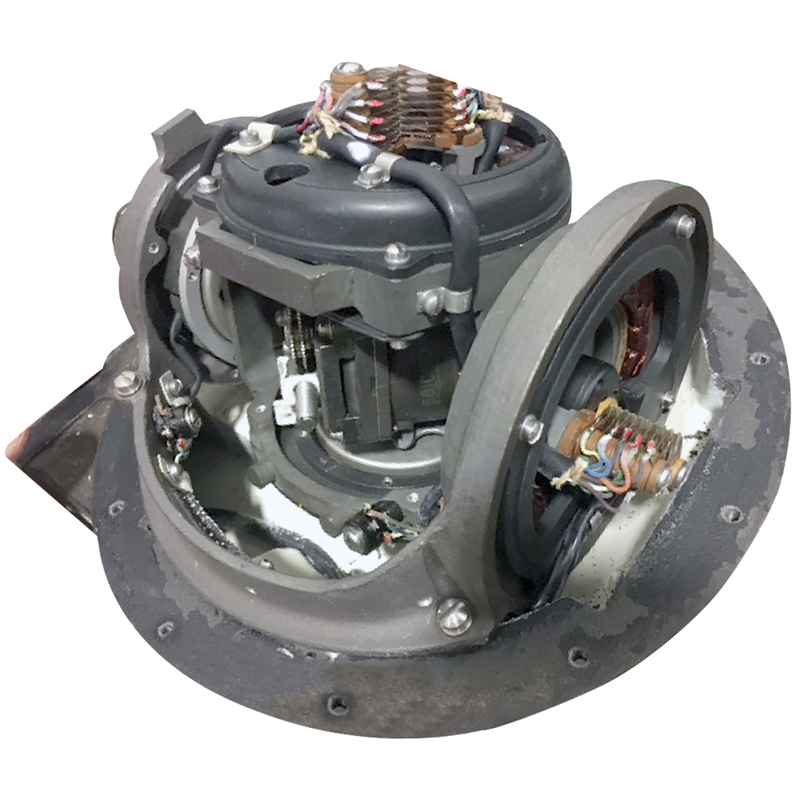 9"D x 6-1/2"H.
When power is applied and unit is in flight, gyro produces signals for the autopilot system on flight deck. Gyro should be operational and will make a great project or display. Our units are complete and have not been pilfered. 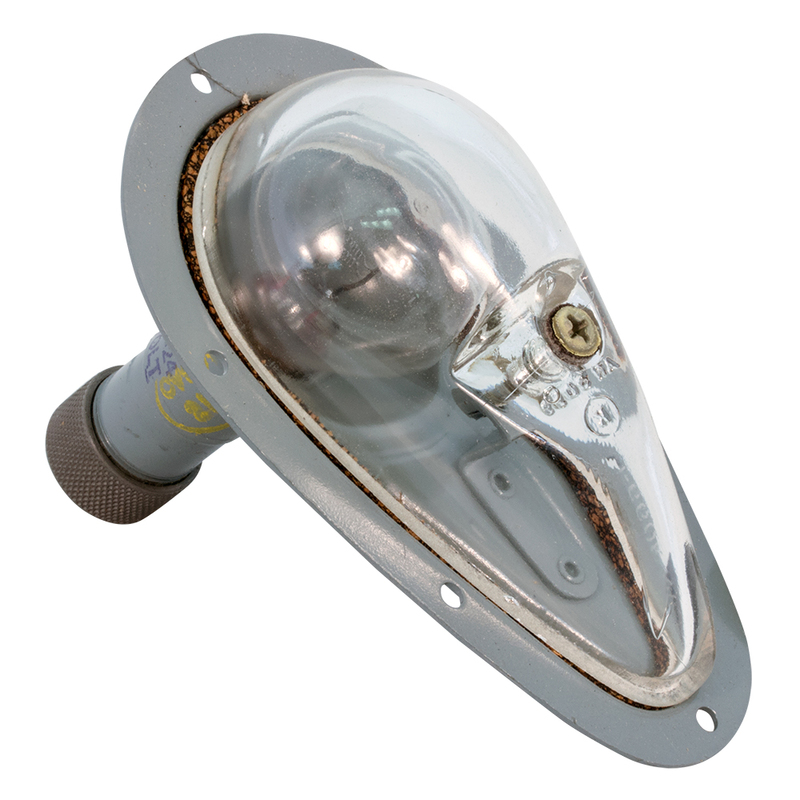 Grimes aircraft Model E-1 upward recognition light. 28v. Brand new in the box!! Grimes P/N: B-2115-24. 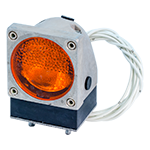 Multi-Spec Products Corp. aircraft navigational light. Lamp / bulb not included. Yellow, transparent lens. Fixed beam. 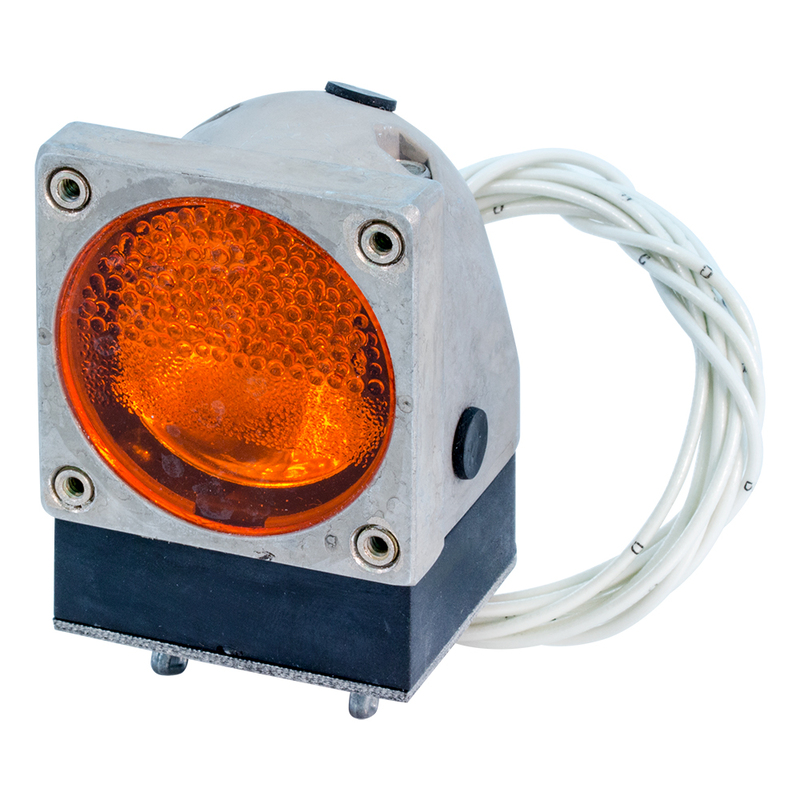 Aluminum body, plastic lens, 3 wire lead. 25v DC. 3.37"L x 2.187" diameter. New surplus. NSN: 6220-00-944-1345. Date code: 1993. 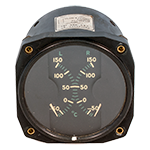 Avionic dual carburetor thermometer. 12 - 24v DC. 3"D x 2-3/4" depth. Used, removed. Excellent condiction. Alt. P/N: AN-5795-6. 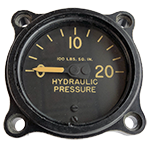 Maxwell, Manning & Moore / GE aviation hydraulic pressure gauge. 0 - 2000 psi. 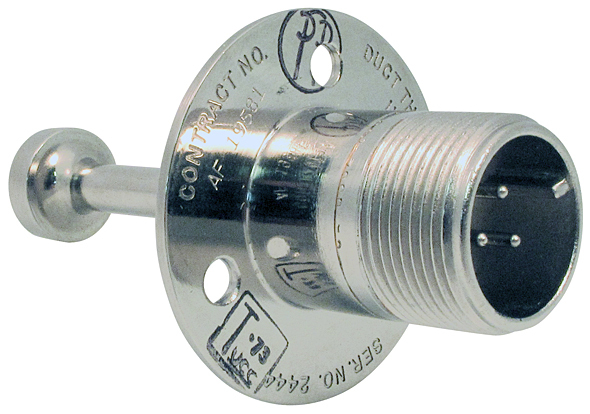 2-1/8"D, 1-1/4" behind panel depth. 1-7/8" hole centers. 1/8" flare input. New, old stock. Honeywell / Grimes nom filter. 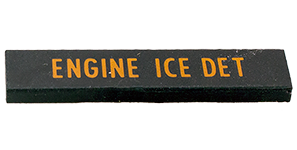 "Engine Ice Det". Lettering is yellow when lit. NSN: 6210-00-917-0690. Mfg. Grimes Aerospace. 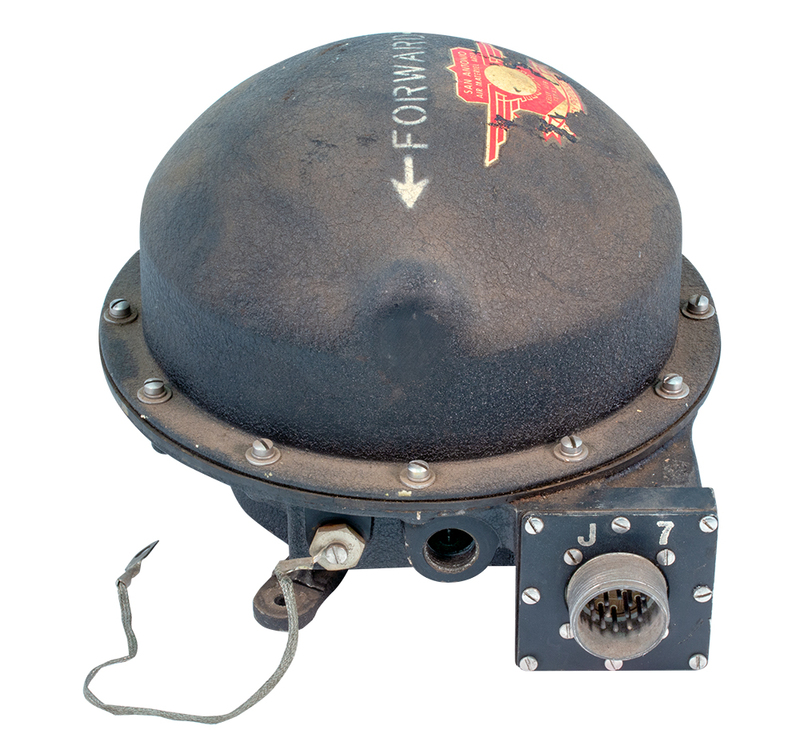 United Controls avionic thermostatic switch. 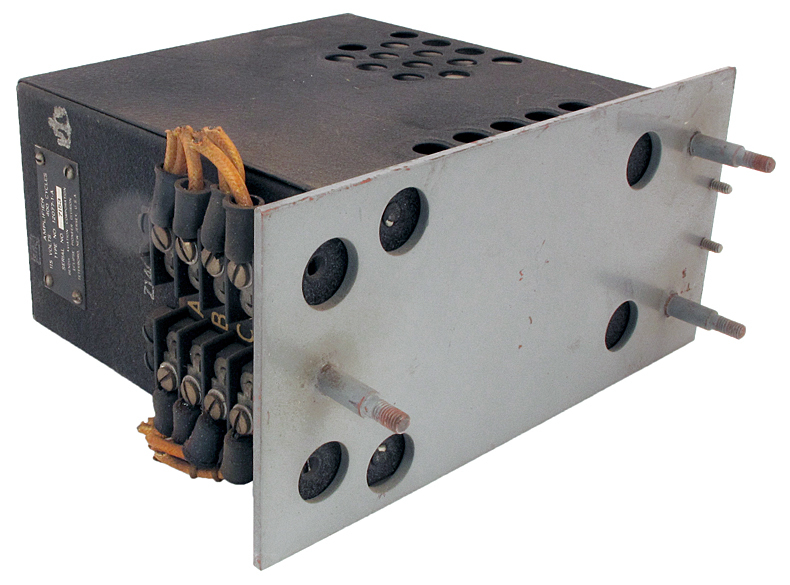 Duct therm switch. All chrome plated, copper construction. 1.75"D flange. Sundstrand. New-Surplus. Made in 1959. 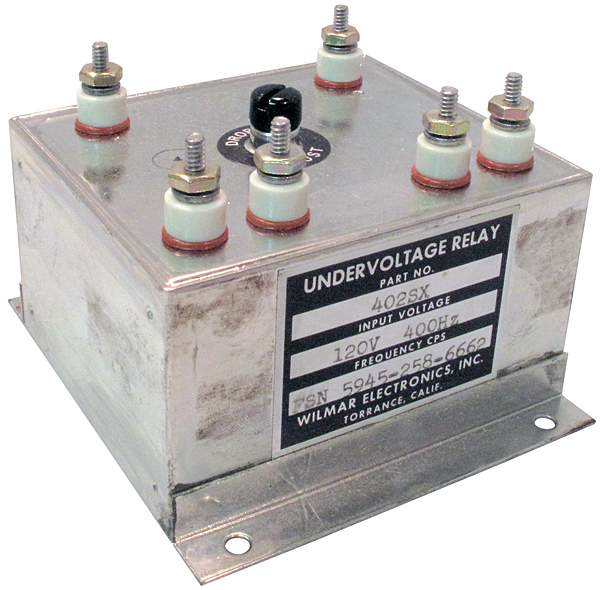 Wilmar Electronics undervoltage relay with adjustable drop-out point. One normally closed & one normally open contact, 2 amp. 120 vac, 400 Hz. 3-1/2" x 3" x 3"H. 3.9" x 3.5" base plate. 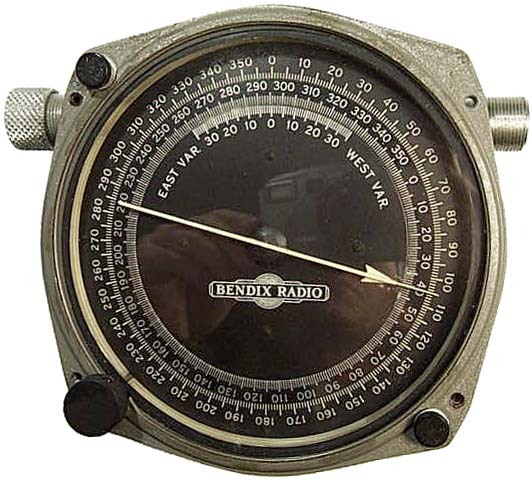 Sparton left - right Bendix indicator compass. 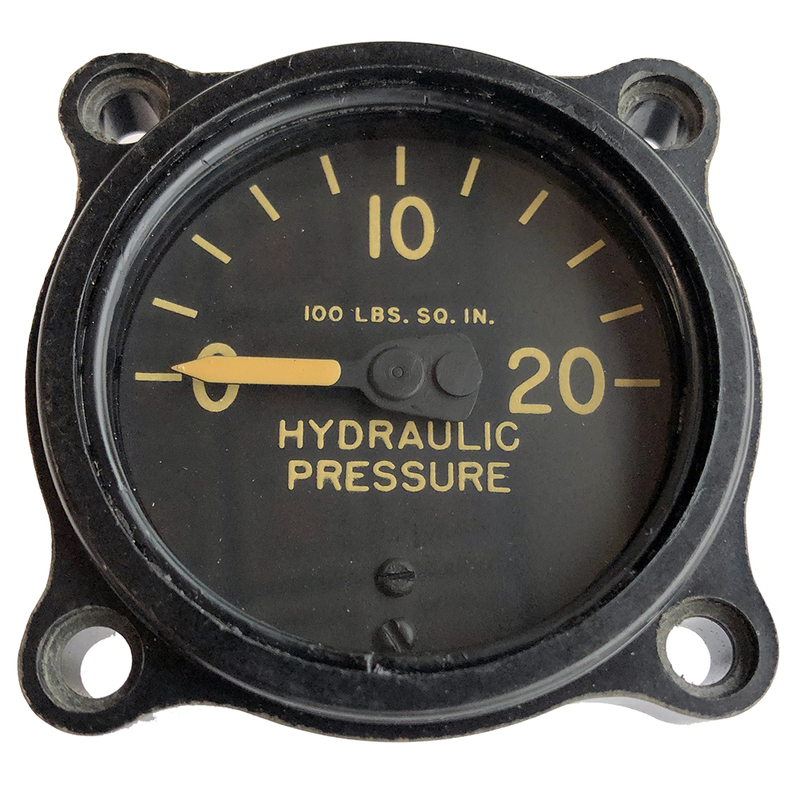 Requires 3-1/8" diameter hole. 2-5/8" behind panel depth. Made in the 1940s - 1950s. 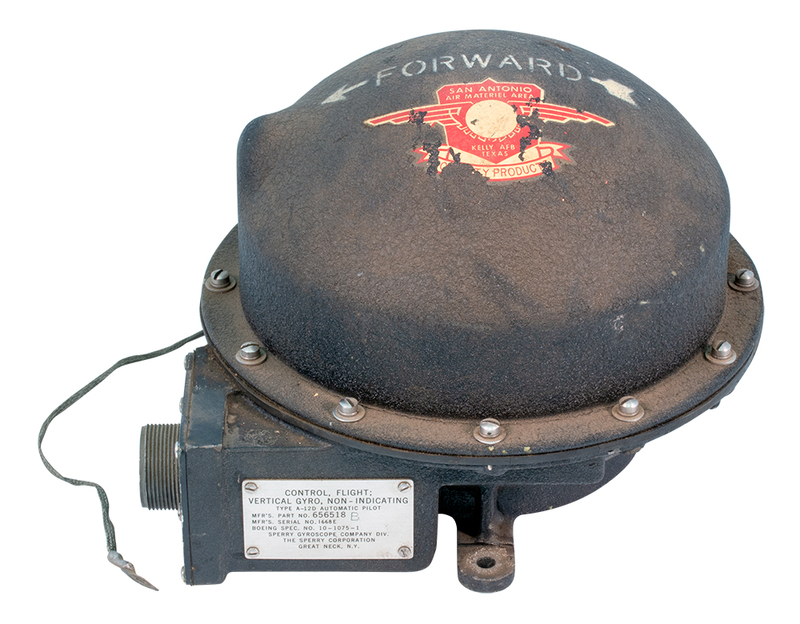 Part of the BENDIX MN-26 Navigational Radio Set, see also (MTR) MN-22A. New, unused!! Build your own aircraft carrier...well its a start. Dual LED bar graph. 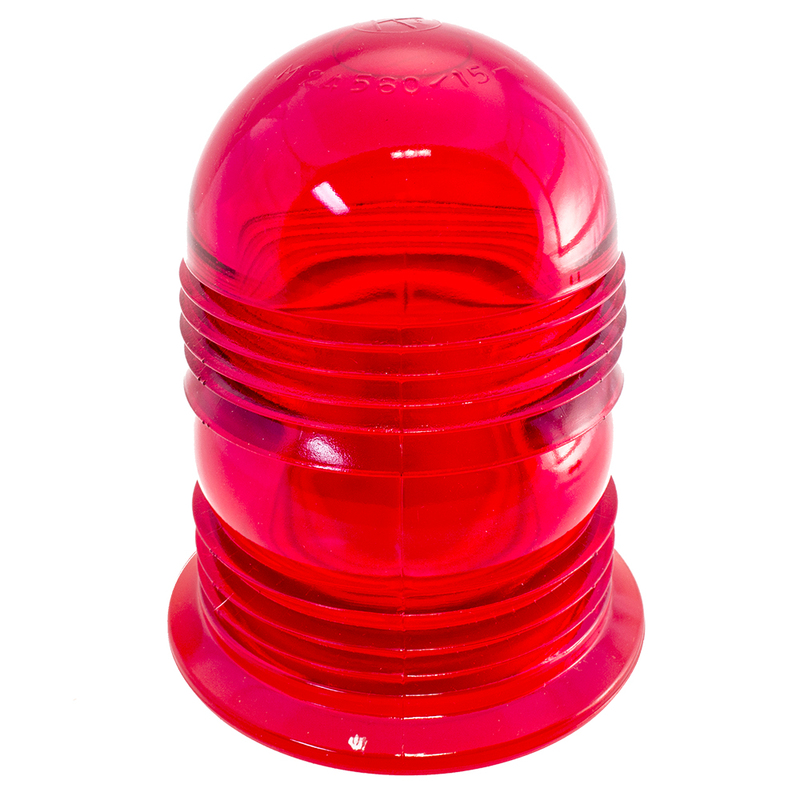 Dynamic and static "Commanded Hook Touch Down Point" indicator. Dual, 100 light LEDs to show distances in feet from starting point. Driven by three SN74145 BCD to decimal ICs and a Motorola SC404000P. 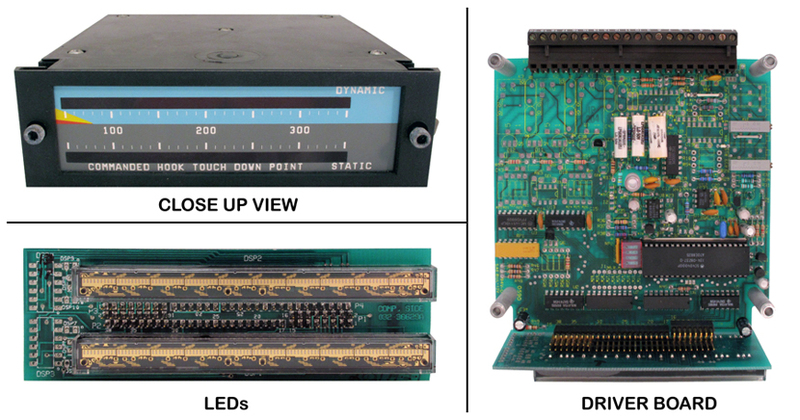 The unit consists of a driver board for each LED row that plugs into the dual display board. NOTE: 2 BCD values will select and light 1 LED in a row. New, unused. NSN: 6350-01-311-6625. Bendix amplifier. 115v, 400 Hz. Used, removed. Sold as-is. 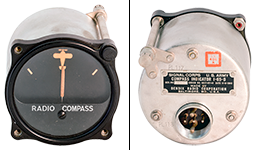 Bendix Radio compass faces "Loop Azimuth Indicators" have a fixed 0-360 degree scale on the outer ring, a movable center ring 0-360 scale that rotates with large knob on lower right (7 o'clock) of face. 5-1/8" across and 2" deep. 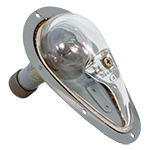 Side aluminating 28v lights (10 and 5 o'clock) can be changed from top. Dial is driven at recessed gear as shown on detail. Originally syncho motors accomplished this. New in the box. Dated Feburary 16, 1944. 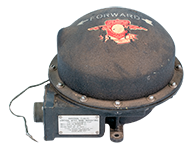 Part of the BENDIX MN-26 Navigational Radio Set, see also (MTR) 1N4A. 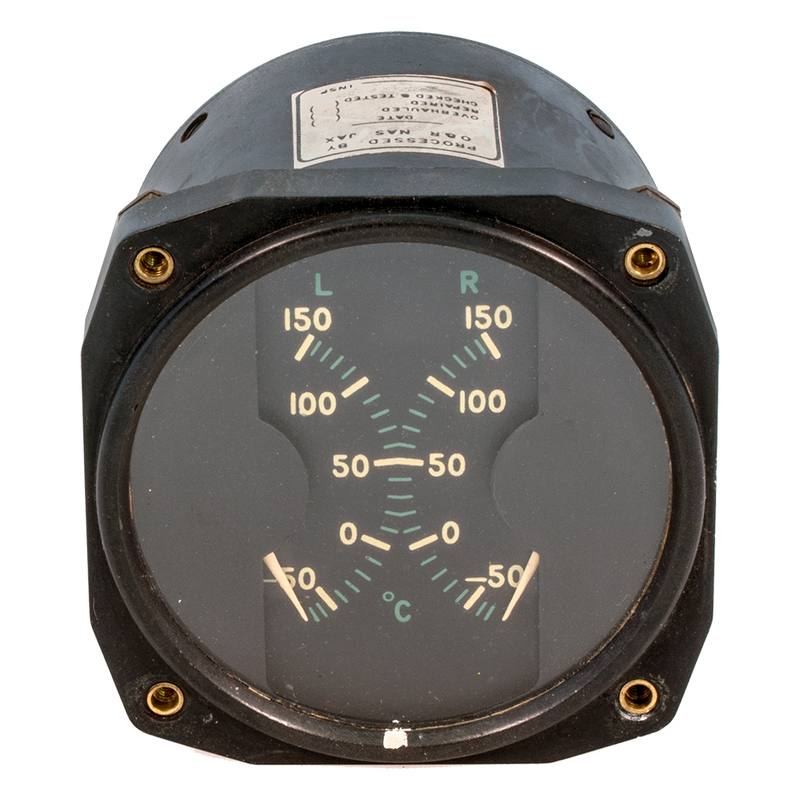 BuAer for US Navy induction compass indicator. Model 8KD1ANSUB1, Stock #R88-I-1651-100-000. 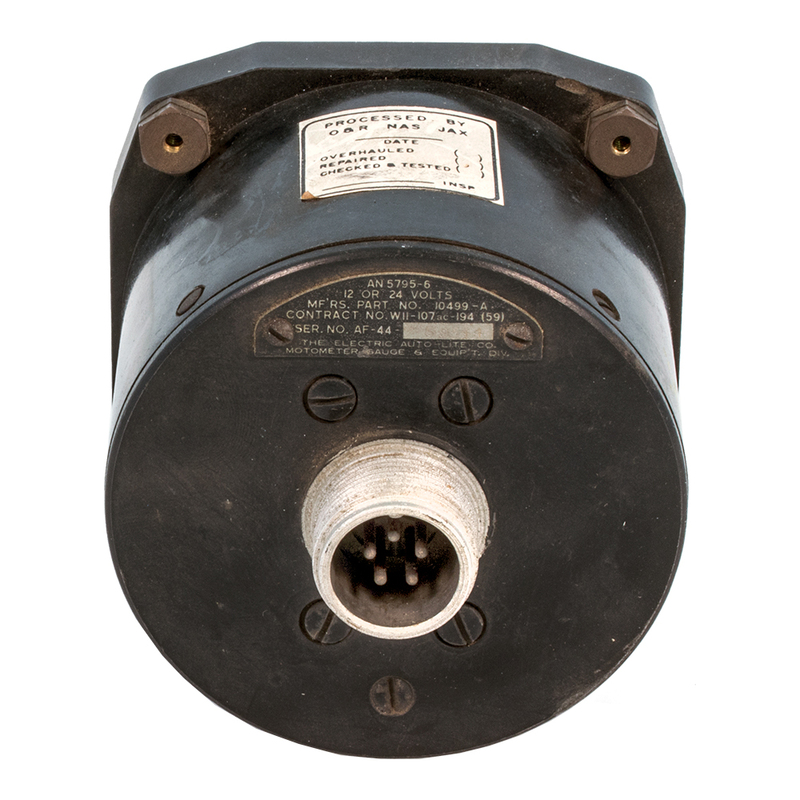 Made in the USA, General Electric NP 154932. 115v, 400 cycles, 3 phase. Appears to have been pulled and overhauled. S/N: M16644. NSN: 6605-00-514-4164. 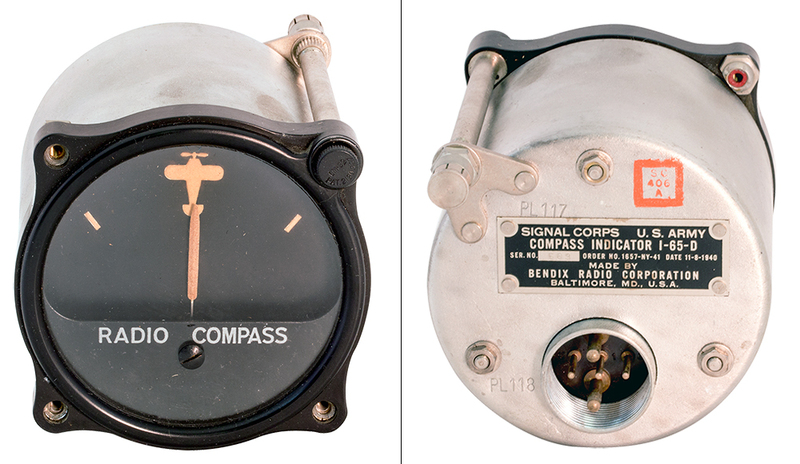 Bendix Radio USA pre WWII Signal Corps compass indicator. 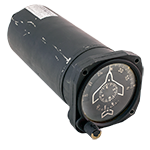 Part of the SCR-280-A radio compass system. Used in Douglas C-47 Skytrain, et al. Has PL118 connector on back side. 3.25"D x 4"L. Circa 1940. 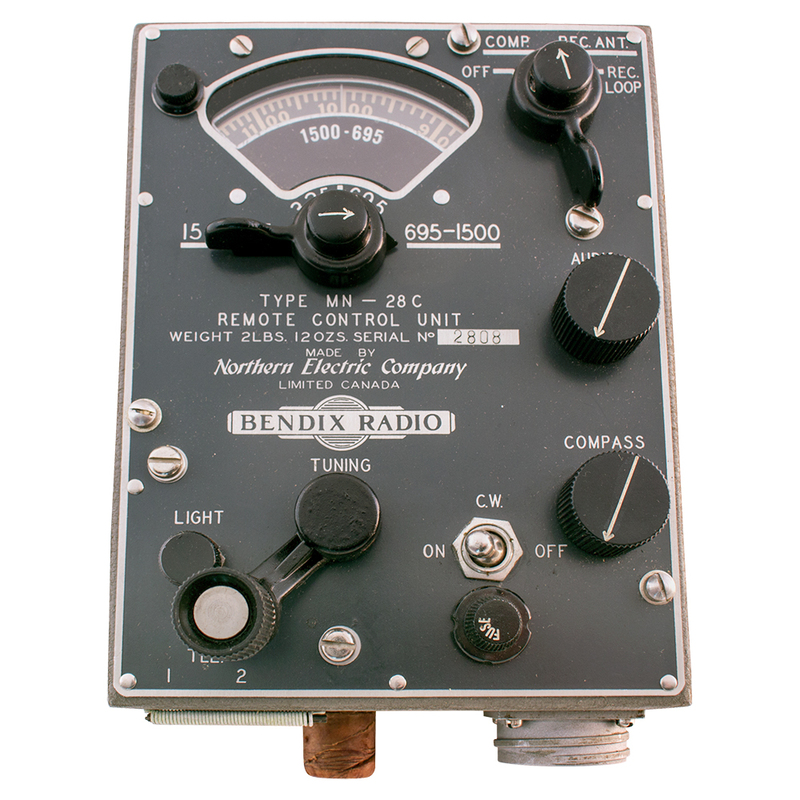 Antique Bendix Radio MN-28C remote control unit for radio compass MN-26. 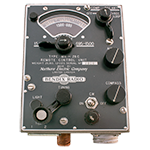 Made by Bendix Radio by Northern Electric, Canada. WWII era aviation equipment. New in original box. Limited supply. 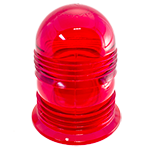 Kopp Glass red lens. 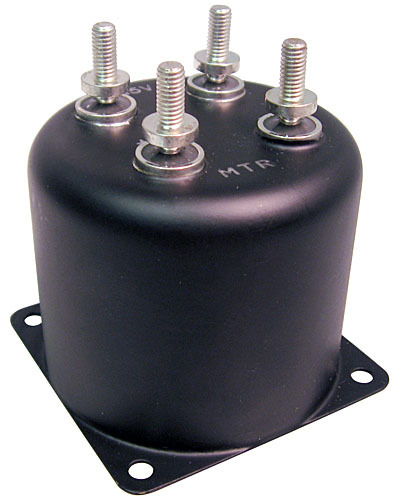 Flange mount. 4.75"L x 3.87"D. U.S. Government aviation surplus. Alt. 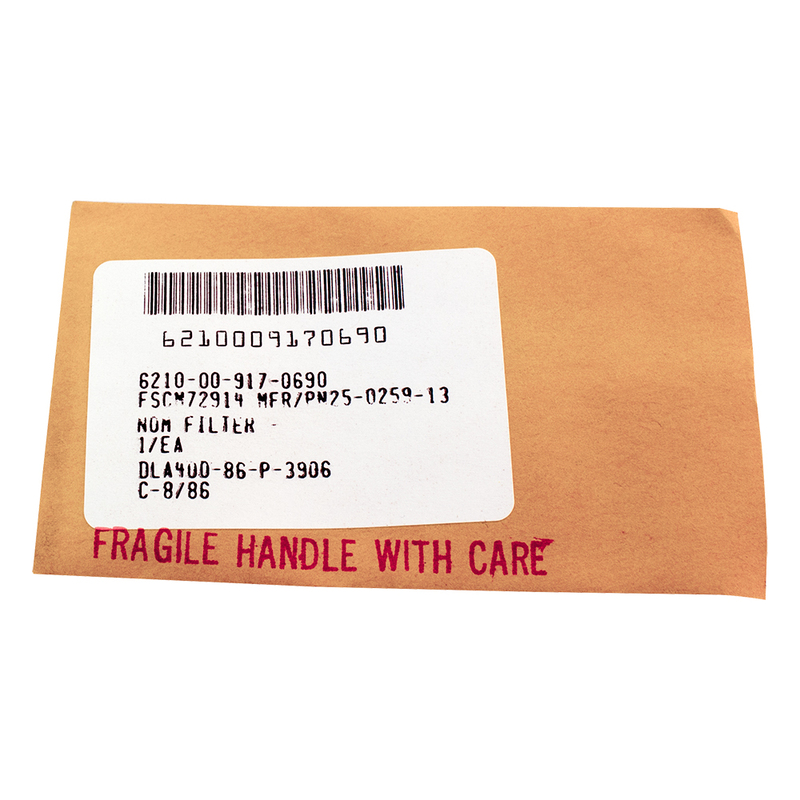 P/N: MG2566-6250, MIL-L-24560/15. NSN: 6220-01-067-0629. Landing light canopy. Aluminum. 8" diameter. NSN: 6220-00-225-1732. Grimes landing light. 28 vdc. 8" diameter. Re-conditioned. NSN: 6220-00-397-6823.